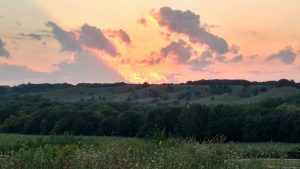 Get to Know O’Brien County Conservation Board Areas! Take time this summer to visit 19 of the 26 areas managed by the Conservation Board. You will find that there are some remarkable areas within our county! At each of these areas, you will find a code word attached to the back of the brown area sign. 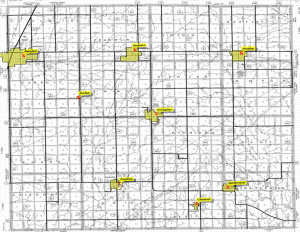 Write the code word in the chart found on the worksheet and return the completed form to the O’Brien County Conservation Board, 4931 Yellow Ave., Peterson, IA 51047. All persons returning their form by September 30, 2018 will be entered into a drawing to win a 2 night stay at the 6-person camping cabin at Dog Creek Park!